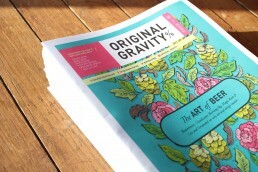 Hopefully, the perfect present for a beer lover is all six issues of Original Gravity in 2018 plus a beautiful beery print that will arrive before Christmas. All for £35 + £4.30 1st class signed for delivery. A little, handwritten, homemade festive postcard with the print saying the recipient has also got a six-issue subscription for 2018. From the same artist who has illustrated two covers of Original Gravity% is this artwork by Brazilian Ciro Bicudo. There are only 20 of these in the northern hemisphere. 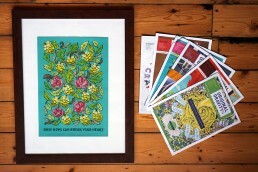 It has been printed on fantastic quality paper 150g with an incredible resolution. The size is: 310mm x 440mm. 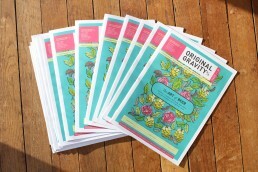 Six issues of Original Gravity% magazine, edited by Beer Writer of the Year Adrian Tierney-Jones and last year’sBeer Writer of the Year Pete Brown, celebrates all things beer, posted straight to the door every two months. Estimated delivery dates: February 8, April 12, June 14, August 9, October 4, December 8. 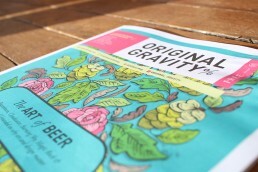 Original Gravity% magazine is packed full of information on beers, interviews, features and loads of other nice bits. It focuses on real ale and craft beer, with a few forays into cider and spirits. ”Only Hops Can Break Your Heart, a label created by Ciro and Ricardo Bicudo that makes products related to beer universe. 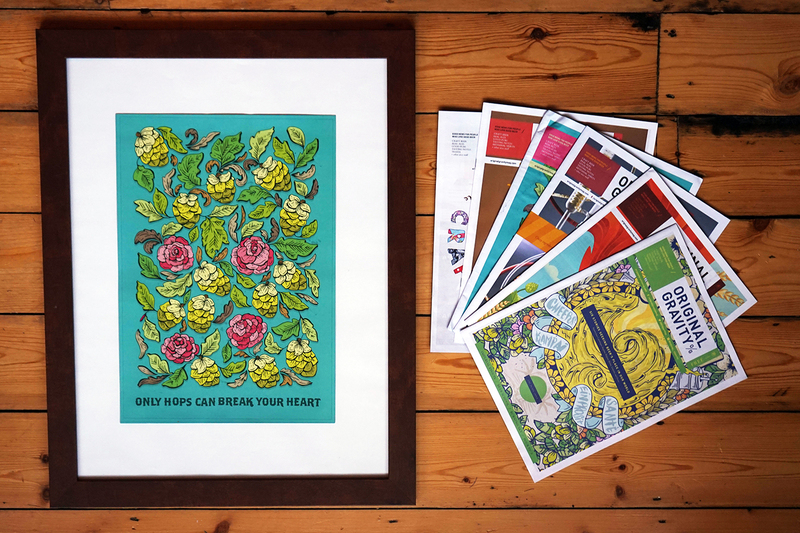 Shirts, growlers, glasses, socks and others are part of the portfolio of the brand, all with unique and exclusive design signed by illustrator and partner Ciro Bicudo, a designer that have been doing some beer labels in Brazil and around the world such as Mikkeller (Sort Gul) and Verdant Brewing (IPA and Pale Ale).